your prescription, great service, and amazing products. 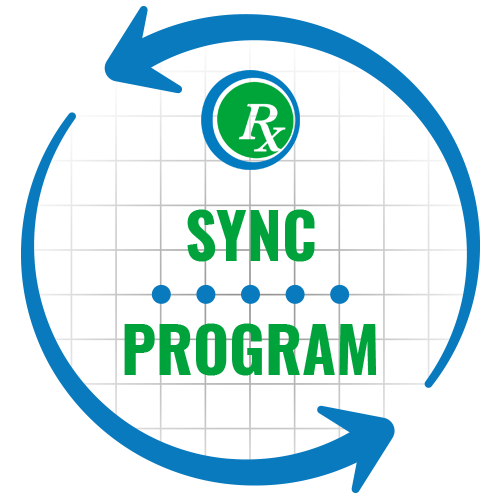 Sign Up for Our Sync Program Today! 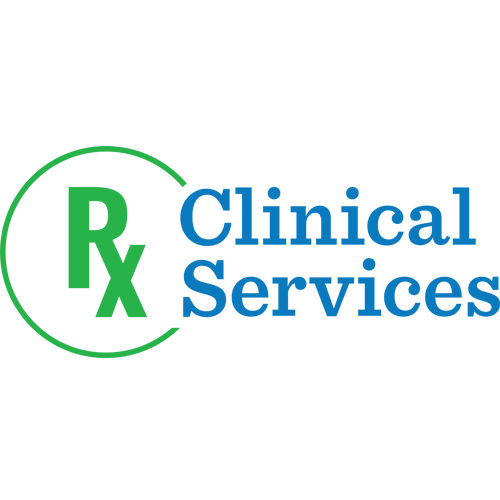 Visit River Road Health Mart Pharmacy or Creswell Health Mart Pharmacy for all of your pharmaceutical and healthcare needs. At our Oregon Pharmacy locations, we are more than just a place to drop-off and pick-up your prescriptions. You are treated like a member of our family with friendly, fast, and reliable service. We continuously offer our knowledge, our time, and a shoulder to lean on when you are in need. We are committed to delivering professional care that you can only find at your local Health Mart Pharmacy location. View Our Services. 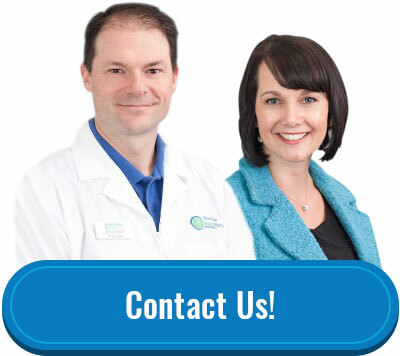 Both of our Health Mart pharmacies, located in Eugene and Creswell, Oregon, are owned and operated by Brian and Jeannie Marr, and we are accompanied by a team of experienced and knowledgeable pharmacy technicians. We recognize that everyone has individual healthcare needs and concerns, and that is why we take the time to get to know you, not just as a customer, but also as a patient and as a person. 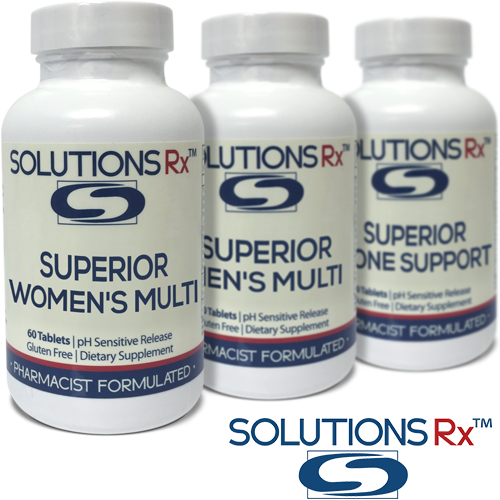 With this proactive approach, we are not only supporting your health and wellness, but you as an individual. You can always count on us to answer your questions, counsel you on products, and offer you the latest information on staying healthy. We are the Oregon pharmacy you can trust in your time of need. Refilling and transferring your prescriptions is easy at our pharmacies. Never miss another dose due to a late refill. Find fun and unique items at our Gift Shop! Browse our regularly updated selection of home decor, seasonal items, etc. Get your flu-shot, and other important vaccinations, at either of our locations anytime. No appointment necessary! Pick up your common cold medications, first-aid equipment, multi-vitamins, and other over-the-counter products at our pharmacies. 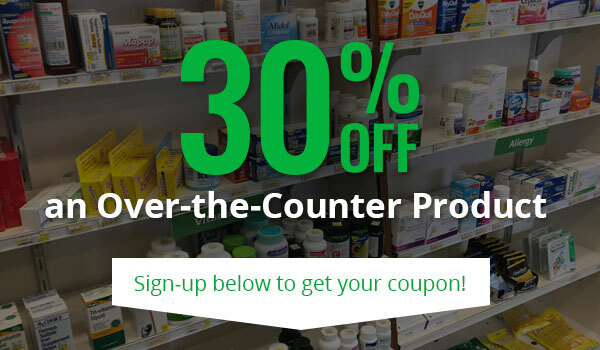 Tired of making multiple trips to the pharmacy? 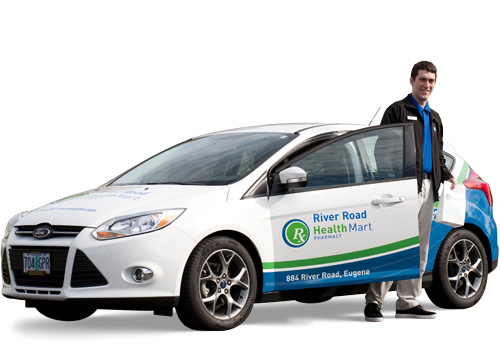 We save you time and energy by delivering your prescriptions, OTC products, and medical supplies directly to your home! Delivery is based locally, but we can mail to anywhere throughout Oregon. Delivery pricing ranges from FREE to just a few dollars. Forget the hassle of picking up your medications. We’ll take care of it!